Iran is a big country inhabited by several different ethnic groups each with their own culture and homeland. The land shows great variation in landscapes sometimes going into extremes like the desert landscapes of the East to the high mountain peaks in the North. Historically Iran has been influenced by many cultures from east, west and the south. 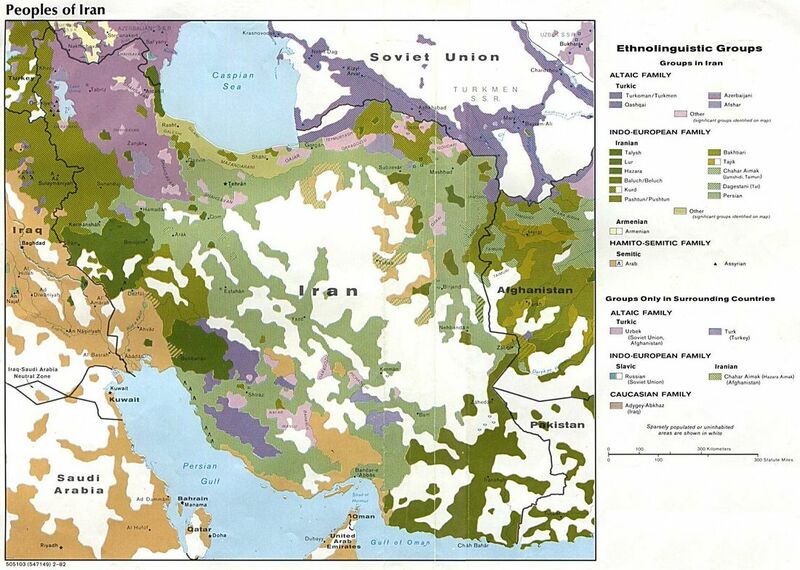 The map below shows the variation of the different ethnolinguistic groups living in Iran. Several guidebooks already provide basic information which is not meant to repeated here. As with every guidebook there is a lot more to learn and experience about Iran far beyond the reach of printed paper. There are fascinating places not described in any guidebook and not in the initiary of well known tour agencies . Also your personal interest might reach beyond the average interest of a tour group or guide book. This is where Hossein can help you experience Iran "off the beaten" track. Click here to learn more about Hossein and what he can do for you.